The chisels crafted by master smith Shibano in Miki City are meticulously designed to the last detail. The cutting edge layer consists of blue paper steel (Aogami), a low-alloy carbon steel known for good sharpenability, high edge retention and a (user-dependent) opportunity to achieve exceptional sharpness. The hardness is 64 to 65 HRC. The soft backing layer consists of repeatedly folded strips of steel (Suminagashi) that give these chisels their highly decorative appearance. The handle made of white oak protrudes approx. 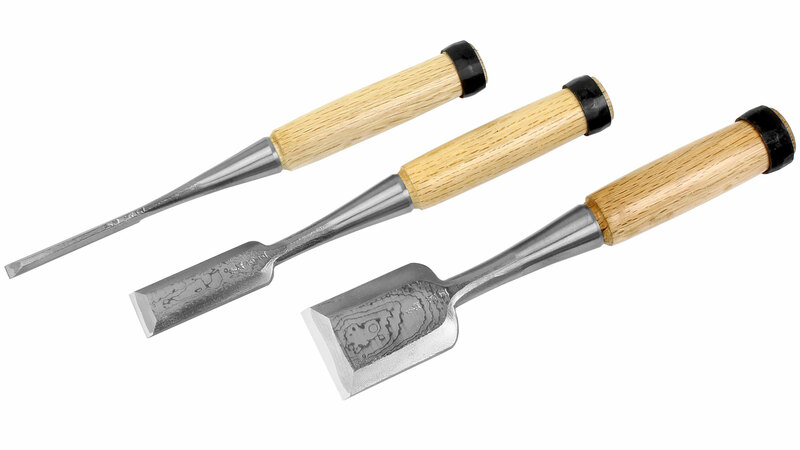 1 to 2 mm beyond the striking ferrule so that a hammer will only strike wood. 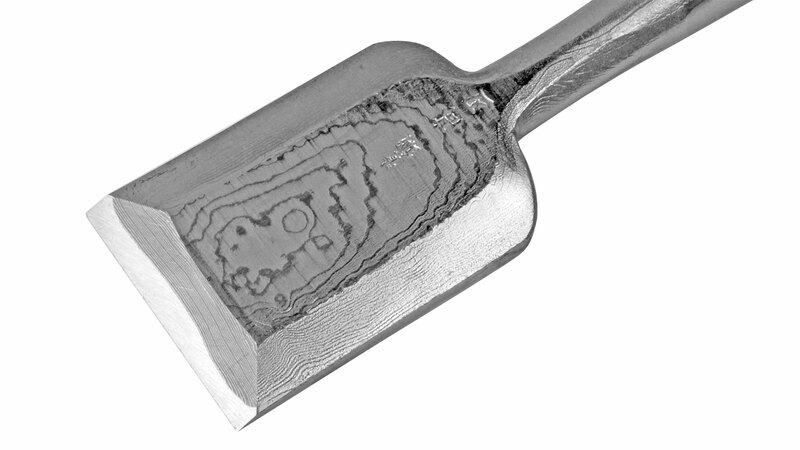 Single ura (hollow ground surface) on the rake face for all sizes. 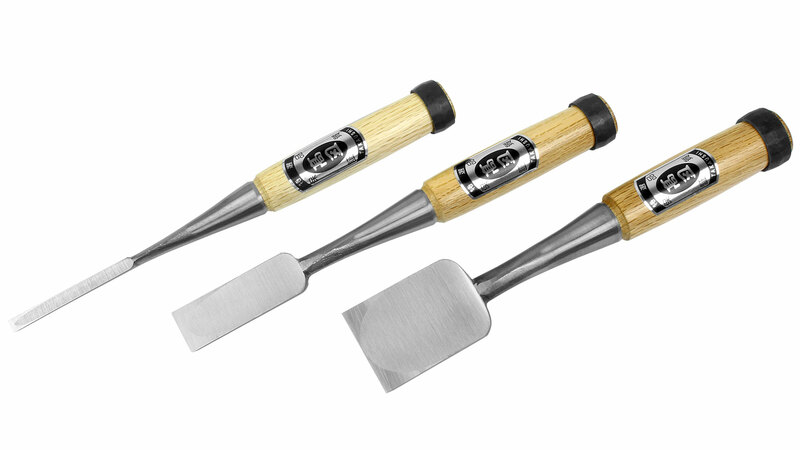 These chisels are forged and ground by hand, which may result in small deviations in the width of the blades. 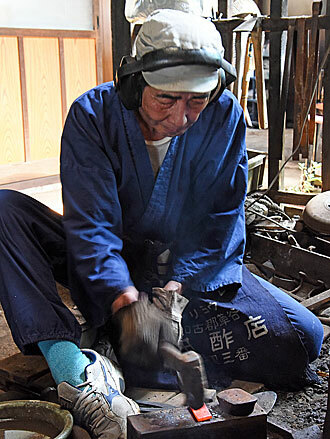 Like all Japanese chisels they must be sharpened and honed before you use them for the first time. 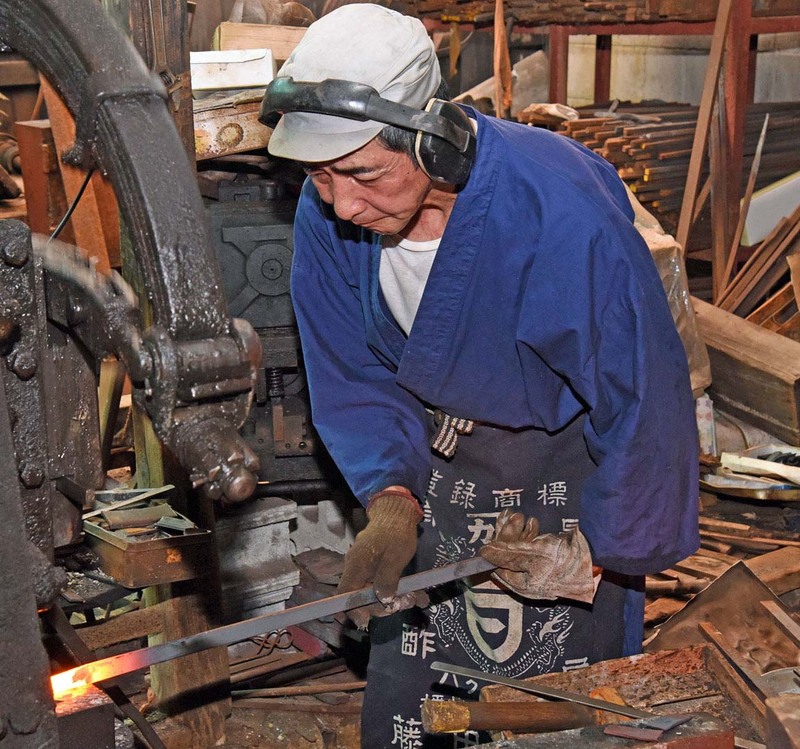 The blades are all between 220 and 225 mm long and like most other Japanese blades they are also set at a slight angle to the tool axis to let you to chisel deeper into the wood than the blade is long. One notable aspect of Shibano’s chisels is that they have a somewhat thinner cross section than standard blades. This is especially noticeable on wider blades. For example, a 30 mm Shibano blade is 3.5 mm thick where the bevel starts, while a standard blade is 5 mm thick at that point. On narrow blades the difference is appreciably less: just 4 mm on a 12 mm blade compared to 4.5 mm on a standard blade. The thinner blades make it easier to work in tight places, but any levering action should be avoided because of the risk of fracture.